We are opportunistic Global Special Situations Investors. We invest in complex, misunderstood and under researched public companies where there appear to be real disconnects between price and intrinsic value, and importantly, where catalysts exist to close these gaps. Our concentrated portfolios have the flexibility to invest in any asset class, geography or capitalization. Our mission is to produce attractive, risk adjusted, long-term, absolute investment returns with an emphasis on capital preservation. We strictly follow a well defined and disciplined investment process whose foundation is built on rigorous, original, in house, bottom-up fundamental research. 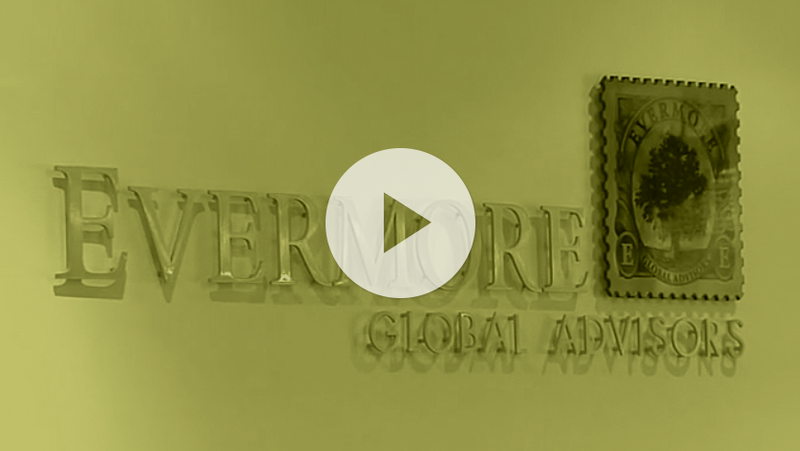 We invite you to explore our site and learn more about Evermore Global Advisors. The volatility in the fourth quarter of 2018 was dramatic and, as global markets sold off precipitously, many of our portfolio securities suffered steep price declines. The market sell-off was driven by a long list of investor fears, including a global market slowdown, a China slowdown, an Italy crisis, the looming Brexit and U.K. government instability, a continued trade war, oil price volatility, and increasing interest rates, just to name a few. Learn more about Evermore from the Evermore team.